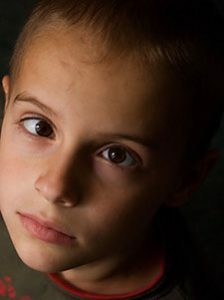 Eye turns (a condition called Strabismus); have to do with an inability to point both eyes in the same direction at the same time. One eye — or both, as in crossed eyes — may appear to turn in, or one eye may turn out, up or down. If you or a loved one has an eye turn, be sure to schedule an appointment.